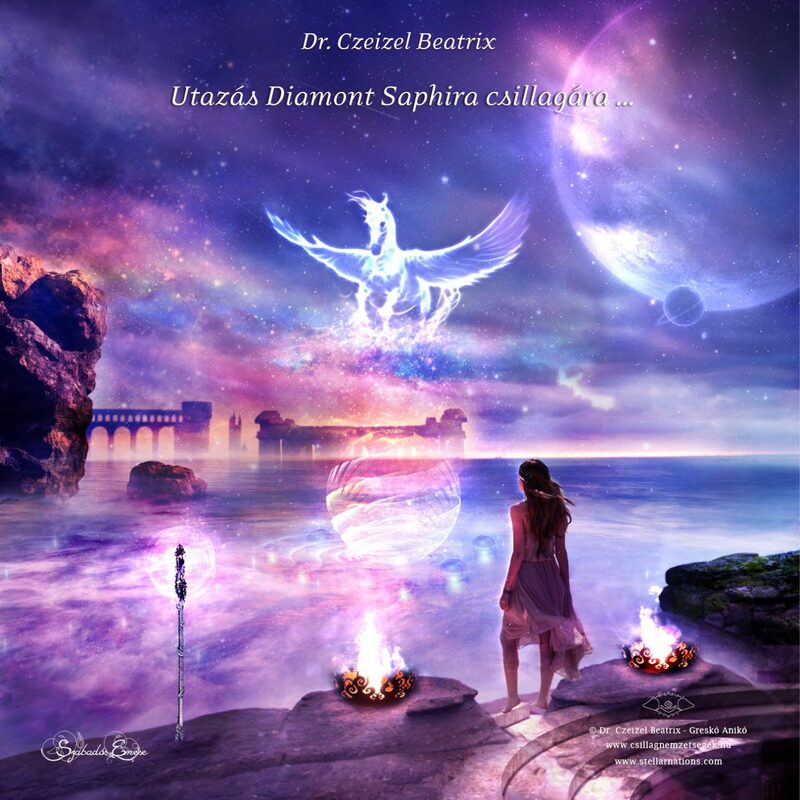 Diamont Saphira is a magical and beautiful 5th dimensional stellar sphere in the constellation Andromeda, where homecoming Pegasus souls are awaited by their former sisters and brothers. This stellar world has congregated in this time frame since more and more souls with deep Pegasus roots are coming closer to redemption and returning to their original destiny path. So, a healing world with a truly cozy home atmosphere has been born here to greet and treat those Pegasus souls who have finally made it through so many eons of cycles and are nearing redemption and return. It is a place where the Pegasus messenger souls who had revolted and left their pathway along the “Andromedan destiny” – as described in detail in our books Stellar Destinies or Stellar Nations – Soul Families – can take a rest. Here they can put down the burdens of those dramatic events, which necessarily had to happen at the Gate of the Sun as a result of their choices long ago. Here, on Diamont Saphira, they can finally discharge all the emotional and energetic traces of those moments when they lost their stellar home. During this grand interstellar journey Pegasus souls can reunite with their lost sisters and brothers and through an extremely powerful cathartic healing process they can regain their original destiny code. This empowers their earthly pathways to turn towards the conscious fulfillment of their mission again. Thus they can find real happiness in the transitional sphere of planet Earth, too. We would like to emphasize that we ask you to order this meditation only if you already understand this history from the referenced books. Only then can you fully take in and experience each step of this inner journey and only then are you prepared enough to receive this powerful healing. While this guided meditation is only offered in Hungarian at this time, the meditation can be apprehended and used by your soul. In some ways this bypassing of the mind might even enhance the potency of the guidance.